9ml amber glass roll on bottle with stainless steel roller ball. 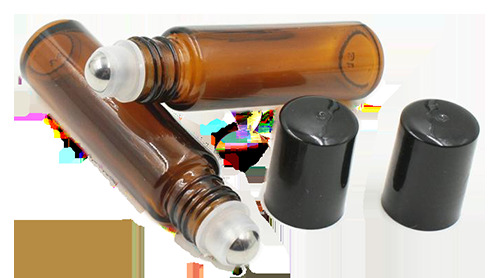 9ml amber glass aromatherapy roll on for creating your own essential oil topical blends. With a stainless steel roller ball. The aromatherapy roll on bottles hold .3 ounces of carrier. Our favorite carrier oil is jojoba oil. It has an indefinite shelf life so your essential oil roll on creations will last much longer. Visit the individual essential oil pages or our blog for more DIY aromatherapy recipe ideas.